I loved the black harmonica and the case. The engraving was perfect too. This gift is for a 5 year old so I like that it's small. If you are getting it for an adult you may think its a bit small. 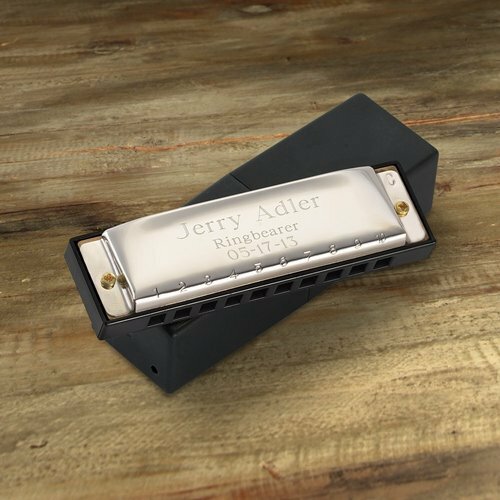 A personalized harmonica is the perfect wedding gift for any music lover. Available in two designs, high-polished stainless steel and black with gold etching, this small but powerful instrument arrives beautifully packaged in an elegant black padded box. Give to your groomsman gift or ringbearer and watch as the blues or rock n' roll tunes unfold!